Leadership of the organization worked for a year to develop a strategic plan that was initially rolled out internally. Their aim was to partner with a consulting firm to develop a written document that synthesized the various materials already developed, that would be suitable for wide distribution, and that would unveil the organization’s new branding. Dunleavy assisted the National Kidney Foundation in the development of documents that are currently being used to present the organization’s recently adopted strategic plan. We worked closely with leadership of the organization to ensure that we created materials that fit the identified needs. We identified the primary market for the materials as internal constituents, i.e., chapter and affiliate leadership and staff, as well as a national audience of at-risk and high-risk individuals and families, current patients, and medical practitioners. Following a thorough review of the data and materials that were developed through the planning process, as well as several meetings with leadership of the organization to prioritize the material to be presented and to gather any new information not included in the initial research, we proposed to develop two versions of the strategic plan: 1) A long-form document including a full narrative of background and plan goals; and 2) An executive summary that highlighted the most pertinent information. Through our partnership with the National Kidney Foundation, we successfully created a companion set of two graphically designed documents that clearly communicate the context of the organization and this strategic planning process within its current environment and institutional history. These pieces further clarify the Foundation’s vision for its future within the framework of three key priority areas, or “Pillars.” We focused on articulating the current state of each priority area, as well as the strategic drivers and objectives that will enable the Foundation to achieve tactical change over the coming five years and their targeted outcomes for each. As a result of our work together, the National Kidney Foundation is now able to use these two pieces to articulate their mission, history, key programs, strategic priorities, and actionable goals to internal and external audiences across the country. 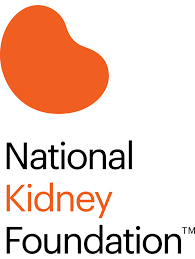 The National Kidney Foundation is dedicated to preventing kidney and urinary tract diseases, improving the health and well-being of individuals and families affected by kidney disease and increasing the availability of organs for transplantation.